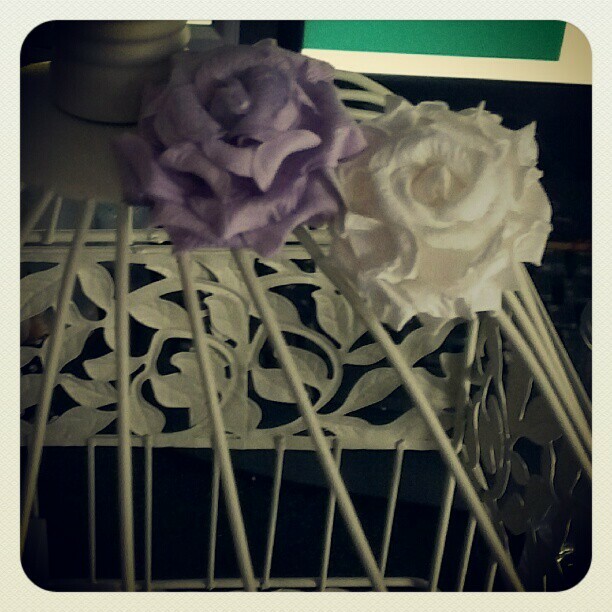 Had a glorious Saturday afternoon free for once and being someone who gets bored very easily. I had bought this vintage looking bird cage from a store for $10 and had since left it in a corner for some bit. 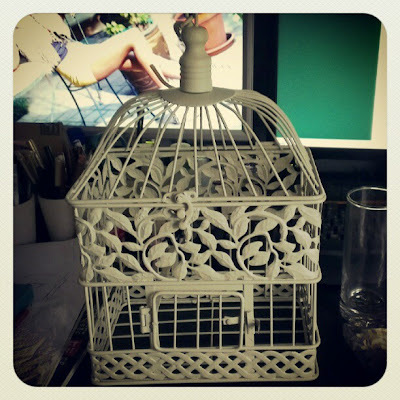 These bird cage are very popular at the moment and they sell out fast at the stores, but I know they keep stocking them up. I also collects little bits and pieces when I venture in craft stores. Most things are only a couple of dollars and just put them into a basket until I dig through it to see if I have anything I could use. Here is a couple of instagram to share with you my little short journey of being creative until I lost patience. Complete with flowers and a bit of lace. Also up coming sneak peek of the next post of a photoshoot I did a couple of week back. Absolutely loving them! 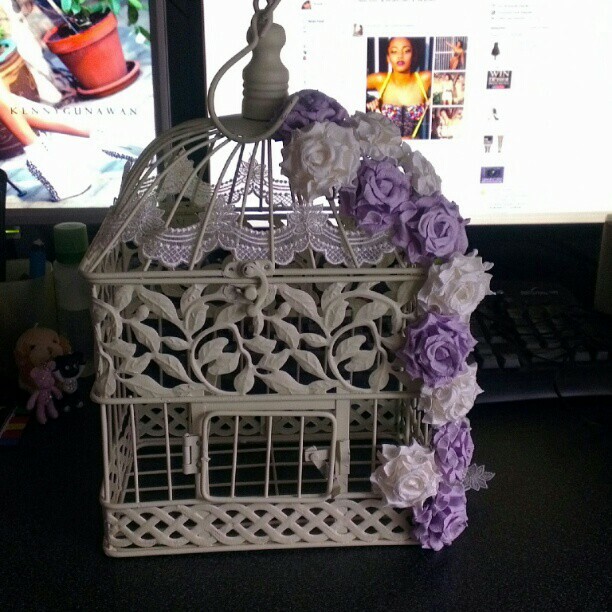 The bird cage looks so pretty with the white and purple flowers. What do you do with the bird cage? 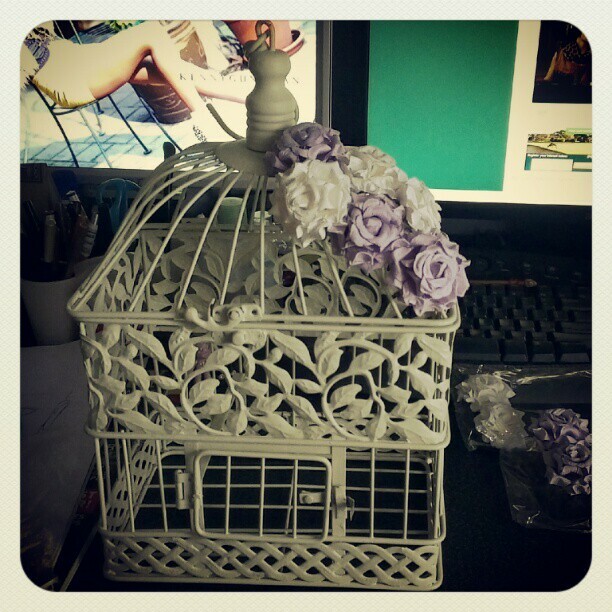 I know my friend used it for her wedding as decor and also to place those money envelops in it.